Stephen Hawking has carried out his plan to fly on a zero-G plane. Before the flight he said he was looking forward to leaving his wheelchair after being confined for several decades. He’d really like to go to space next. 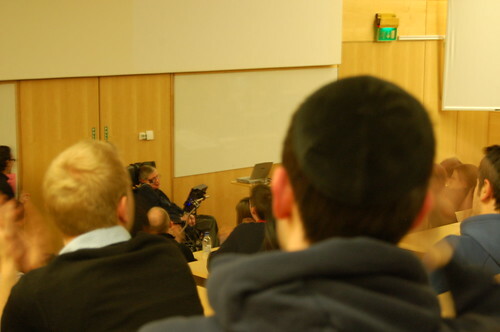 Prof. Hawking says that mankind must go into space if we are to survive.